Failures during the transition to a VoIP phone system are a thing of the past. Only smooth migration to new technologies enables continuous employee productivity. The innovaphone solutions offer smooth transitions to a VoIP PBX for every innovative step. It is always possible to adjust the migration speed to the economic situation. Investment costs are cut down into small steps and ongoing maintenance contracts are not just rendered worthless. Controlled growth into the new technology takes place in such a clever way that, in the long term, employees will always be able to find and exploit new opportunities. 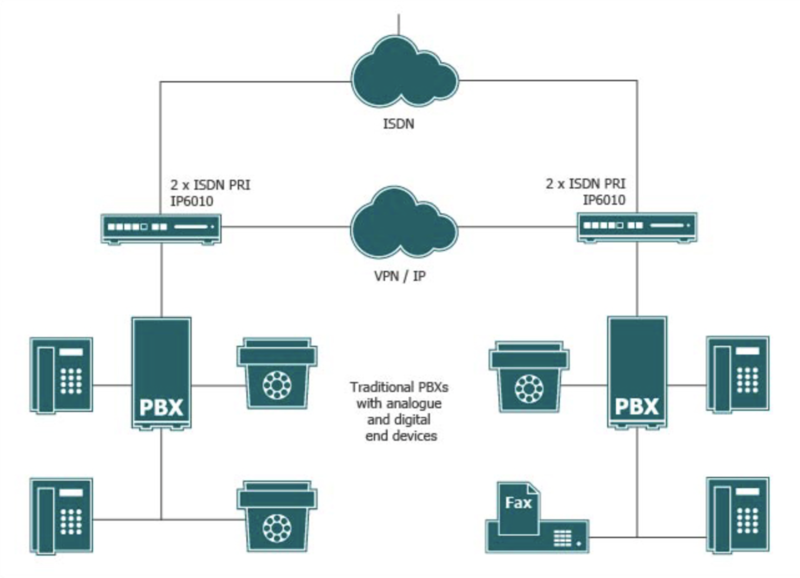 For installations spread across multiple locations, the migration starts by coupling the traditional PBX system via the installation’s own secure IP routes (trunking). Calls between the branch offices are transmitted inexpensively and safely via the existing data network. This step has the advantage that an on-site VoIP gateway already exists for further expansion, but it does not mean that further steps are necessary. 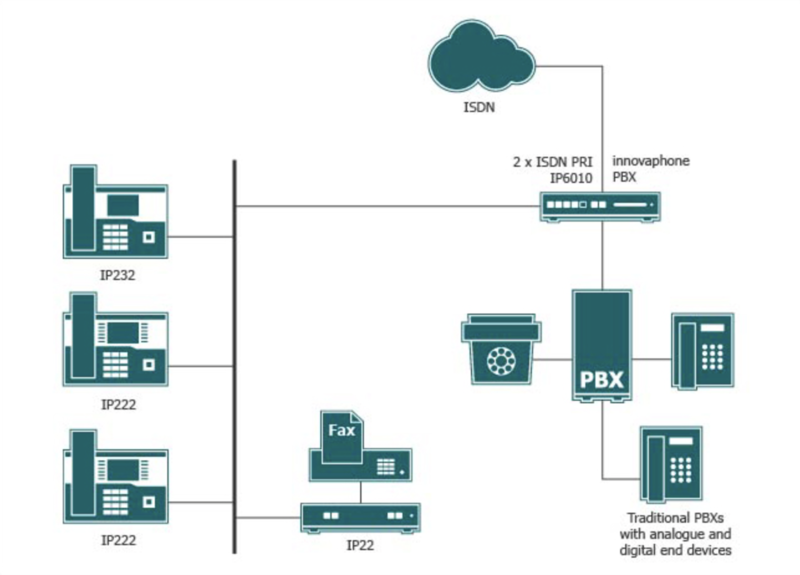 Existing gateways allow for the systematic extension based on VoIP across the company sites, without affecting the configuration of the traditional PBX. The telephone system is enabled on a VoIP gateway and organizes the internal communication as well as external calls. 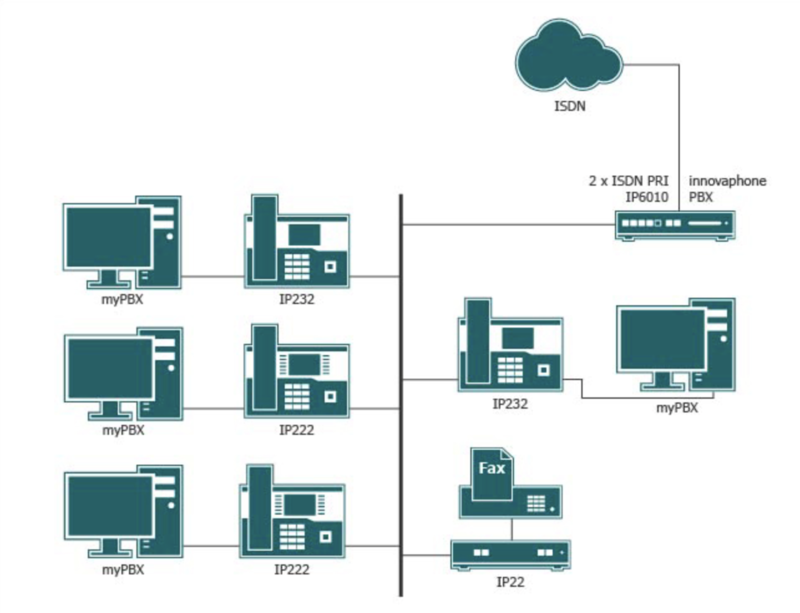 Fax and special devices can also be connected to the new system over analogue adapters. Thus, the traditional system is replaced gradually, until it can be turned off without loss. Central solutions such as Conference calls, Fax service and centrally maintained directories can also be introduced for subscribers on the traditional PBX. Unified Communications benefits all subscribers at an early stage enabling efficiency. A traditional telephone system can be extended to include new subscribers via VoIP gateways that are looped through the trunk line - without making changes to the existing system. The VoIP phone system turns into a state-of-the-art Unified Communication solution thanks to Unified Communications migration. Seamless integration is possible only because the IP telephone solution is fully integrated in the Unified Communications solution. IP telephony and Unified Communications do not run in parallel, but are an overall concept. This is the only way that extensive new tools can satisfy all requirements. In parallel to the planned expansion to include additional devices, new functionalities can also be introduced. The new subscribers are already able to exploit the full range of the Unified Communications solution. While the connections to the traditional end point only work via audio, subscribers that have already been migrated can use Video telephony. Unified Communications solutions can be integrated at any time via soft migration. The Unified Communications client myPBX operates independently of end devices across multiple locations.